All steel construction, chrome finish | Hand guide loop, for ease of use | Cam actuated double leverage mechanism | 2 1/2" Throat allows more reach - Manufacturer: Arrow Fasteners. Arrow's Heavy Duty Plier Type Stapler reaches in hard-to-get-at places for stapling from any position or angle. 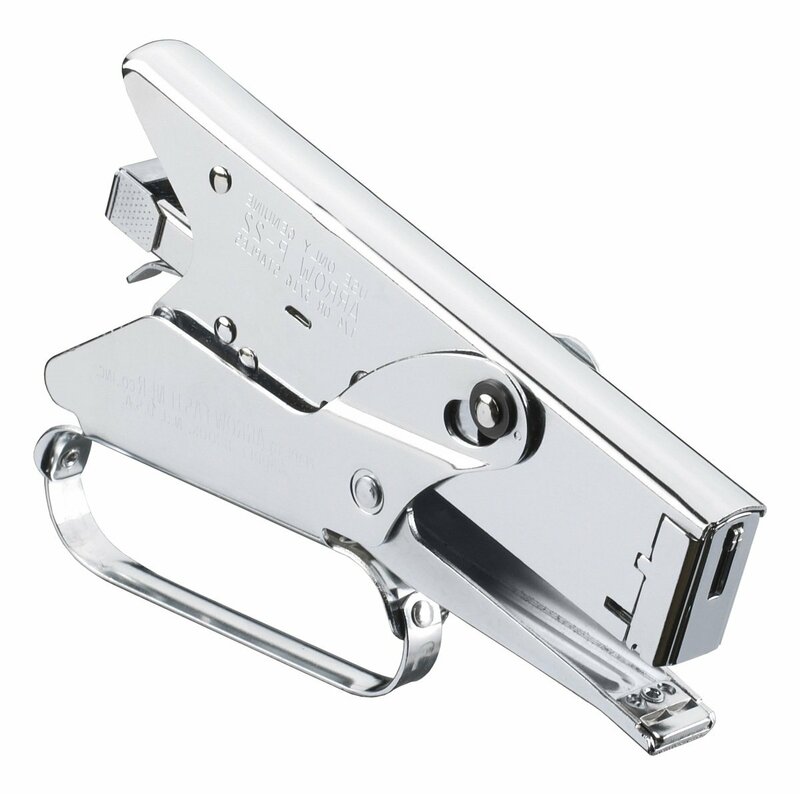 This stapler has an all steel construction with chrome finish, a jam-proof mechanism, tireless cam-leverage action, visual refill window, removable staple channel for cleaning, and a hang guide loop. It takes 1/4-inch and 5/16-inch staples and is ideal for hundreds of heavy duty bagging, tagging, and sealing operations.